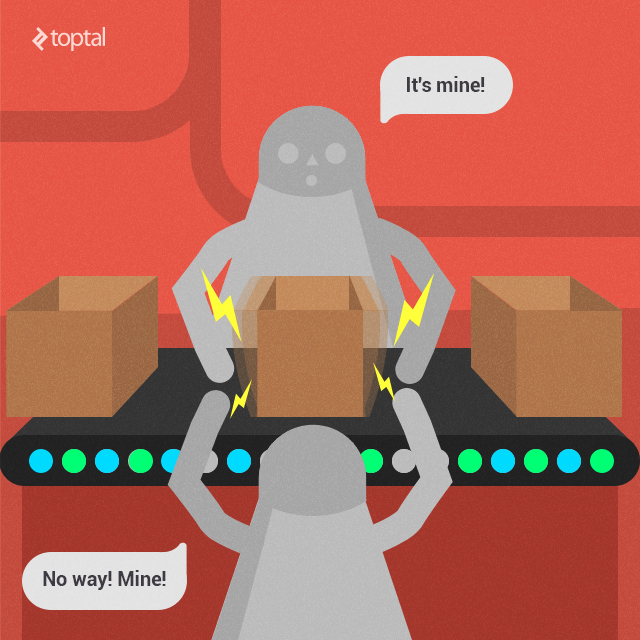 The following article is a guest post by Mikhail Selivanov, Freelance Java Developer at Toptal. Toptal is an elite network of freelancers that enables businesses to connect with the top 3% of software engineers and designers in the world. Java is a programming language that was initially developed for interactive television, but over time it has become widespread over everywhere software can be used. Designed with the notion of object-oriented programming, abolishing the complexities of other languages such as C or C++, garbage collection, and an architecturally agnostic virtual machine, Java created a new way of programming. Moreover, it has a gentle learning curve and appears to successfully adhere to its own moto – “Write once, run everywhere”, which is almost always true; but Java problems are still present. 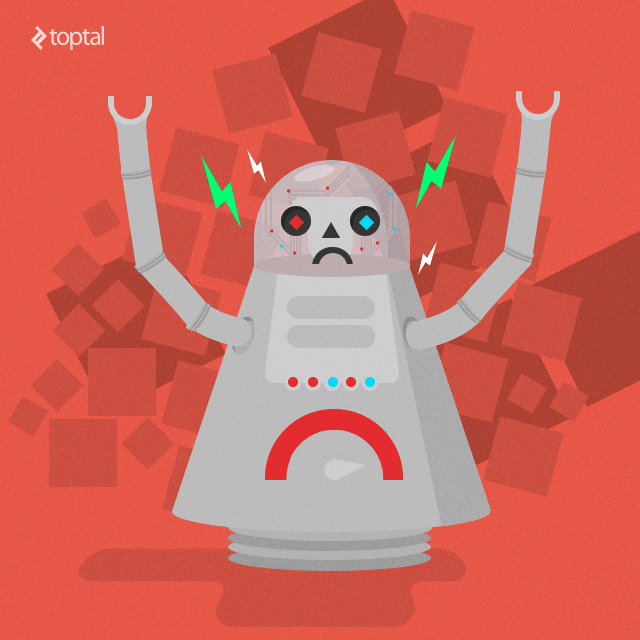 I’ll be addressing ten Java problems that I think are the most common mistakes. In case you missed it, you may check out my post on The 5 Most Common Mistakes HTML5 Developers Make: A Beginner’s Guide here. It’s definitely a mistake for Java Developers to ignore the innumerable amount of libraries written in Java. Before reinventing the wheel, try to search for available libraries – many of them have been polished over the years of their existence and are free to use. These could be logging libraries, like logback and Log4j, or network related libraries, like Netty or Akka. Some of the libraries, such as Joda-Time, have become a de facto standard. In most cases, the cleaner solution would be to use polymorphism and move code with specific behaviors into separate classes. Java mistakes such as this one can be detected using static code analyzers, e.g. FindBugsand PMD. 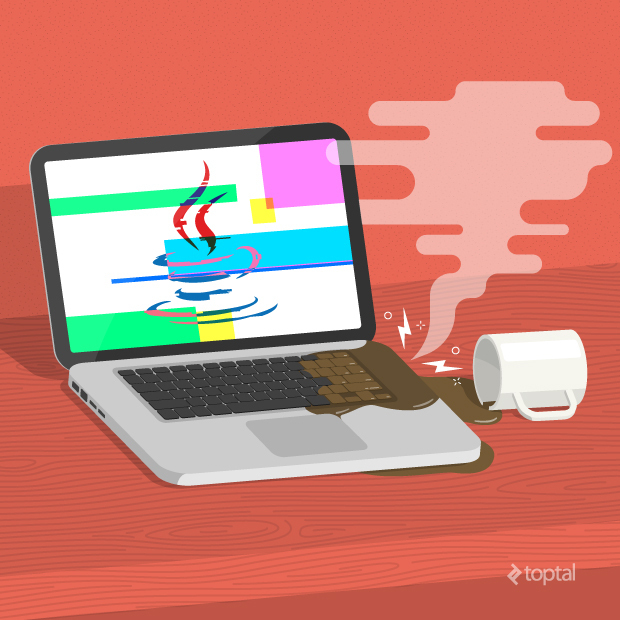 To learn more about memory leaks in Java, please refer to our article that demystified this problem. If at the very beginning we decided to use “CopyOnWriteArrayList” instead of “ArrayList”, then there would have been no problem at all, since “CopyOnWriteArrayList” provides modification methods (such as set, add, and remove) that don’t change the backing array of the collection, but rather create a new modified version of it. This allows iteration over the original version of the collection and modifications on it at the same time, without the risk of “ConcurrentModificationException”. The drawback of that collection is obvious – generation of a new collection with each modification. Java as a platform simplifies many things in software development, relying both on sophisticated JVM and the language itself. However, its features, like removing manual memory management or decent OOP tools, don’t eliminate all the problems and issues a regular Java developer faces. As always, knowledge, practice and Java tutorials like this are the best means to avoid and address application errors – so know your libraries, read java, read JVM documentation, and write programs. Don’t forget about static code analyzers either, as they could point to the actual bugs and highlight potential bugs. The Internet of Things (IoT) has been an industry buzzword for years, but sluggish development and limited commercialization have led some industry watchers to start calling it the “Internet of NoThings”. Double puns aside, IoT development is in trouble. Aside from spawning geeky jokes unfit for most social occasions, the hype did not help; and, in fact, I believe it actually caused a lot more harm than good. There are a few problems with IoT, but all the positive coverage and baseless hype are one we could do without. The upside of generating more attention is clear: more investment, more VC funding, more consumer interest. However, these come with an added level of scrutiny, which has made a number of shortcomings painfully obvious. After a couple of years of bullish forecasts and big promises, IoT security seems to be the biggest concern. The first few weeks of 2015 were not kind to this emerging industry, and most of the negative press revolved around security. Was it justified? Was it just “fear, uncertainty and doubt” (FUD), brought about by years of hype? It was a bit of both; although some issues may have been overblown, the problems are very real, indeed. Many commentators described 2015 as “the year of IoT,” but so far, it has been a year of bad press. Granted, there are still ten months to go, but negative reports keep piling on. Security firm Kaspersky recently ran a damning critique of IoT security challenges, with an unflattering headline, “Internet of Crappy Things”. Kaspersky is no stranger to IoT criticism and controversy; the firm has been sounding alarm bells for a while, backing them up with examples of hacked smart homes, carwashes and even police surveillance systems. Whether a hacker wants to wash their ride free of charge, or stalk someone using their fitness tracker – IoT security flaws could make it possible. Security must be the foundational enabler for IoT. There is currently no consensus on how to implement security in IoT on the device. A prevalent, and unrealistic, expectation is that it is somehow possible to compress 25 years of security evolution into novel IoT devices. There is no silver bullet that can effectively mitigate the threats. However, there is some good news; the knowledge and experience are already here, but they have to be adapted to fit the unique constraints of IoT devices. Unfortunately, this is where we as system security developers stumble upon another problem, a hardware problem. U.S. Federal Trade Commission chairwoman, Edith Ramirez, addressed the Consumer Electronics Show in Las Vegas earlier this year, warning that embedding sensors into everyday devices, and letting them record what we do, could pose a massive security risk. Potential for unexpected uses of consumer data. She urged companies to enhance privacy and built secure IoT devices by adopting a security-focused approach, reducing the amount of data collected by IoT devices, and increasing transparency and providing consumers with a choice to opt-out of data collection. Ramirez went on to say that developers of IoT devices have not spent time thinking about how to secure their devices and services from cyberattacks. While Ramirez is spot on in most respects, I should note that the Internet went through a similar phase two decades ago. There were a lot of security concerns, and the nineties saw the emergence of the internet-borne malware, DDoS attacks, sophisticated phishing and more. Even though Hollywood depicted a dystopian future in some films, we have ended up with kittens on social networks and a high-profile security breach here and there. 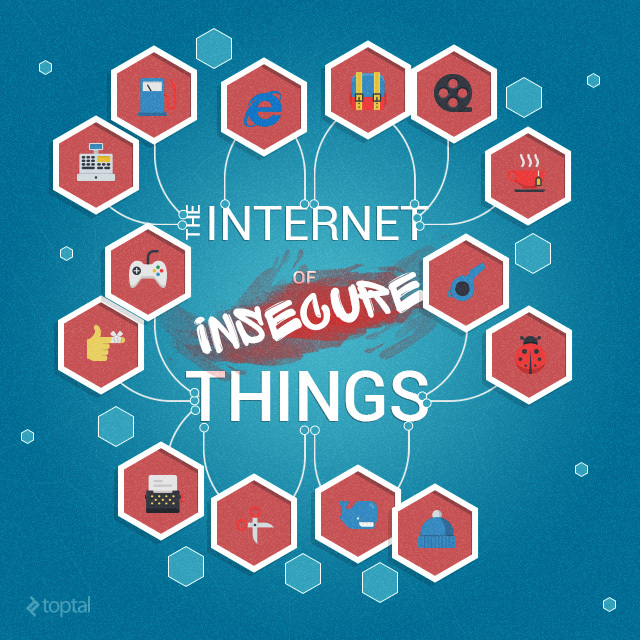 The Internet is still not secure, so we can’t expect IoT to be secure, either. However, security is constantly evolving to meet new challenges, we’ve seen it before, and we’ll see it again, with IoT and subsequent connected technologies. Some of you will be thinking that the hardware issues mentioned by the FTC boss will be addressed; yes, some of them probably will. As the IoT market grows, we will see more investment, and as hardware matures, we will get improved security. Chipmakers like Intel and ARM will be keen to offer better security with each new generation, since security could be a market differentiator, allowing them to grab more design wins and gain a bigger share. Technology always advances, so why not? New manufacturing processes generally result in faster and more efficient processors, and sooner or later, the gap will close, thus providing developers with enough processing power to implement better security features. However, I am not so sure this is a realistic scenario. On the face of it, we could end up with relatively modern 64-bit x86 CPU cores in IoT devices, but they won’t come cheap, they will still be substantially more complex than the smallest ARM cores, and therefore will need more battery power. Cheap and disposable wearables, which appear to be the FTC’s biggest concern, won’t be powered by such chips, at least, not anytime soon. Consumers may end up with more powerful processors, such as Intel Atoms or ARMv8 chips, in some smart products, like smart refrigerators or washing machines with touchscreens, but they are impractical for disposable devices with no displays and with limited battery capacity. Selling complete platforms, or reference designs for various IoT devices, could help chipmakers generate more revenue, while at the same time introduce more standardisation and security. The last thing the industry needs is more unstandardized devices and more fragmentation. This may sound like a logical and sound approach, since developers would end up with fewer platforms and more resources would be allocated for security, however, security breaches would also affect a bigger number of devices. Money Is Pouring In, Analysts Remain Bullish, What Could Possibly Go Wrong? One of the most common ways of tackling any problem in the tech industry is to simply throw money at it. So, let’s see where we stand right now in terms of funding rather than technology. According to research firms IDC and Gartner, IoT will grow to such an extent that it will transform the data centre industry by the end of the decade. Gartner expects the IoT market will have 26 billion installed units by 2020, creating huge opportunities for all parties, from data centres and hardware makers, to developers and designers. IDC also expects the IoT industry to end up with “billions of devices and trillions of dollars” by the end of the decade. Security: Increased automation and digitization creates new security concerns. Enterprise: Security issues could pose safety risks. Consumer Privacy: Potential of privacy breaches. Data: Lots of data will be generated, both for big data and personal data. Storage Management: Industry needs to figure out what to do with the data in a cost-effective manner. Server Technologies: More investment in servers will be necessary. Data Centre Network: WAN links are optimised for human interface applications, IoT is expected to dramatically change patterns by transmitting data automatically. All these points (and more) must be addressed sooner or later, often at a substantial cost. We are no longer talking about tiny IoT chips and cheap toys based on such chips, this is infrastructure. This is a lot of silicon in server CPUs, expensive DDR4 ECC RAM and even bigger SSDs, all housed in expensive servers, in even bigger data centres. That’s just the tip of the iceberg; industry must tackle bandwidth concerns, data management and privacy policies, and security. So how much money does that leave for security, which is on top of Gartner’s list of IoT challenges? A lot of money is already pouring into the industry, VCs are getting on board and the pace of investment appears to be picking up. There were also a number of acquisitions, often involving big players like Google, Qualcomm, Samsung, Gemalto, Intel and others. 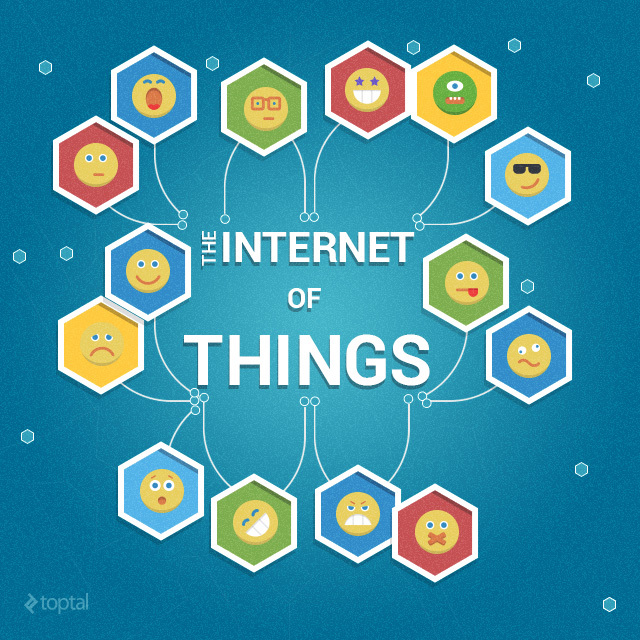 There is a list of IoT-related investments on Postscapes. The trouble with many of these investments, especially those coming from VCs, is that they tend to focus on “shiny” things, devices that can be marketed soon, with a potentially spectacular ROI. These investments don’t do much for security or infrastructure, which would basically have to trail IoT demand. Big players will have to do the heavy lifting, not VC-backed startups and toymakers. Agile and innovative startups will certainly play a big role by boosting adoption and creating demand, but they can’t do everything. So let’s think of it this way, even a small company can build a car, or tens of thousands of cars, but it can’t build highways, roads, petrol stations and refineries. That same small company can build a safe vehicle using off-the-shelf technology to meet basic road safety standards, but it couldn’t build a Segway-like vehicle that would meet the same safety standards, nor could anyone else. Automotive safety standards could never apply to such vechicles, we don’t see people commuting to work on Segways, so we cannot expect the traditional tech security standard to apply to underpowered IoT devices, either. Having commuters checking their email or playing Candy Crush while riding their Segways through rush hour traffic does not sound very safe, does it? So why should we expect IoT devices to be as safe as other connected devices, with vastly more powerful hardware and mature operating systems? It may be a strange analogy, but the bottom line is that IoT devices cannot be expected to conform to the same security standards as fully fledged computers. True, we don’t see a lot of headlines about spectacular IoT security breaches, but let me put it this way: how many security related headlines did you see about Android Wear? One? Two? None? It is estimated there are fewer than a million Android Wear devices in the wild, so they’re simply not a prime target for hackers, or a subject for security researchers. How many IoT devices do you own and use right now? How many does your business use? That’s where the “Internet of NoThings” joke comes from, most people don’t have any. The numbers keep going up, but the average consumer is not buying many, so where is that growth coming from? IoT devices are out there and the numbers are booming, driven by enterprise rather than the consumer market. Verizon and ABI Research estimate that there were 1.2 billion different devices connected to the internet last year, but by 2020, they expect as many as 5.4 billion B2B IoT connections. Smart wristbands, toasters and dog collars aren’t a huge concern from a security perspective, but Verizon’s latest IoT report focuses on something a bit more interesting: enterprise. The number of Verizon’s machine-to-machine (M2M) connections in the manufacturing sector increased by 204 percent from 2013 to 2014, followed by finance and insurance, media and entertainment, healthcare, retail and transportation. The Verizon report includes a breakdown of IoT trends in various industries, so it offers insight into the business side of things. The overall tone of the report is upbeat, but it also lists a number of security concerns. Verizon describes security breaches in the energy industry as “unthinkable,” describes IoT security as “paramount” in manufacturing, and let’s not even bring up potential risks in healthcare and transportation. How And When Will We Get A Secure Internet of Things? I will not try to offer a definitive answer on how IoT security challenges can be resolved, or when. The industry is still searching for answers and there is a long way to go. Recent studies indicate that the majority of currently available IoT devices have security vulnerabilities. HP found that as many 70 percent of IoT devices are vulnerable to attack. While growth offers a lot of opportunities, IoT is still not mature, or secure. Adding millions of new devices, hardware endpoints, billions of lines of code, along with more infrastructure to cope with the load, creates a vast set of challenges, unmatched by anything we have experienced over the past two decades. That is why I am not an optimist. I don’t believe the industry can apply a lot of security lessons to IoT, at least not quickly enough, not over the next couple of years. In my mind, the Internet analogy is a fallacy, simply because the internet of the nineties did not have to deal with such vastly different types of hardware. Using encryption and wasting clock cycles on security is not a problem on big x86 CPUs or ARM SoCs, but it won’t work the same way with tiny IoT devices with a fraction of the processing power and a much different power consumption envelope. More elaborate processors, with a biger die, need bigger packaging and have to dissipate more heat. They also need more power, which means bigger, heavier, more expensive batteries. To shave off weight and reduce bulk, manufacturers would have to resort to using exotic materials and production techniques. All of the above would entail more R&D spending, longer time-to-market and a bigger bill of materials. With substantially higher prices and a premium build, such devices could hardly be considered disposable. So what has to be done to make IoT secure? A lot. And everyone has a role to play, from tech giants to individual developers. A clear emphasis on security from day one is always a good thing, especially when dealing with immature technologies and underdeveloped markets. If you are planning to develop your own IoT infrastructure, or deploy an existing solution, do your research and stay as informed as possible. This may involve trade-offs, as you could be presented with a choice of boosting security at the cost of compromising the user experience, but it’s worth it as long as you strike the right balance. This cannot be done on the fly, you have to plan ahead, and plan well. In the rush to bring new products and services to market, many companies are likely to overlook long-term support. It happens all the time, even in the big leagues, so we always end up with millions of unpatched and insecure computers and mobile devices. They are simply too old for most companies to bother with, and it is bound to be even worse with disposable IoT devices. Major phone vendors don’t update their software on 2-3 year old phones, so imagine what will happen with $20 IoT devices that might be on your network for years. Planned obsolescence may be a part of it, but the truth is that updating old devices does not make much financial sense for the manufacturer since they have better things to do with their resources. Secure IoT devices would either have to be secure by design and impervious from the start, or receive vital updates throughout their lifecycle, and I’m sure you will agree neither option sounds realistic, at least, not yet. Implementing secure access control and device authentication sounds like an obvious thing to bring up, but we are not dealing with your average connected device here. Creating access controls, and authentication methods, that can be implemented on cheap and compact IoT devices without compromising the user experience, or adding unnecessary hardware, is harder than it seems. As I mentioned earlier, lack of processing power is another problem, as most advanced encryption techniques simply wouldn’t work very well, if at all. In a previous post, I looked at one alternative, outsourcing encryption via the blockchain technology; I am not referring to the Bitcoin blockchain, but similar crypto technologies that are already being studied by several industry leaders. Si vis pacem, para bellum – if you want peace, prepare for war. It is vital to study threats and potential attackers before tackling IoT security. The threat level is not the same for all devices and there are countless considerations to take into account; would someone rather hack your daughter’s teddy bear, or something a bit more serious? It’s necessary to reduce data risk, keep as much personal data as possible from IoT devices, properly secure necessary data transfers, and so on. However, to do all this, you first need to study the threat. If all else fails, at least be prepared for potential security breaches. Sooner or later they will happen, to you or someone else (well, preferably a competitor). Always have an exit strategy, a way of securing as much data as possible and rendering compromised data useless without wrecking your IoT infrastructure. It is also necessary to educate customers, employees and everyone else involved in the process about the risks of such breaches. Instruct them in what to do in case of a breach, and what to do to avoid one. Of course, a good disclaimer and TOS will also help if you end up dealing with the worst-case scenario. For all too many companies, it’s not until after a breach has occurred that web security becomes a priority. During my years working as an IT Security professional, I have seen time and time again how obscure the world of IT Security is to so many of my fellow programmers. An effective approach to IT security must, by definition, be proactive and defensive. Toward that end, this post is aimed at sparking a security mindset, hopefully injecting the reader with a healthy dose of paranoia. In particular, this guide focuses on 10 common and significant web security pitfalls to be aware of, including recommendations on how they can be avoided. The focus is on the Top 10 Web Vulnerabilities identified by the Open Web Application Security Project (OWASP), an international, non-profit organization whose goal is to improve software security across the globe. Since filtering is pretty hard to do right (like crypto), what I usually advise is to rely on your framework’s filtering functions: they are proven to work and are thoroughly scrutinized. If you do not use frameworks, you really need to think hard about whether not using them really makes sense in your environment. 99% of the time it does not. Prevention: There’s a simple web security solution: don’t return HTML tags to the client. This has the added benefit of defending against HTML injection, a similar attack whereby the attacker injects plain HTML content (such as images or loud invisible flash players) – not high-impact but surely annoying (“please make it stop!”). Usually, the workaround is simply converting all HTML entities, so that <script> is returned as &lt;script&gt;. The other often employed method of sanitization is using regular expressions to strip away HTML tags using regular expressions on < and >, but this is dangerous as a lot of browsers will interpret severely broken HTML just fine. Better to convert all characters to their escaped counterparts. This web security vulnerability is about crypto and resource protection. Sensitive data should be encrypted at all times, including in transit and at rest. No exceptions. Credit card information and user passwords should never travel or be stored unencrypted, and passwords should always be hashed. Obviously the crypto/hashing algorithm must not be a weak one – when in doubt, use AES (256 bits and up) and RSA (2048 bits and up). This is simply an authorization failure. It means that when a function is called on the server, proper authorization was not performed. A lot of times, developers rely on the fact that the server side generated the UI and they think that the functionality that is not supplied by the server cannot be accessed by the client. It is not as simple as that, as an attacker can always forge requests to the “hidden” functionality and will not be deterred by the fact that the UI doesn’t make this functionality easily accessible. Imagine there’s an /adminpanel, and the button is only present in the UI if the user is actually an admin. Nothing keeps an attacker from discovering this functionality and misusing it if authorization is missing. Exercise caution. Beyond obviously using caution when using such components, do not be a copy-paste coder. Carefully inspect the piece of code you are about to put into your software, as it might be broken beyond repair (or in some cases, intentionally malicious). This is once again an input filtering issue. Suppose that the target site has a redirect.php module that takes a URL as a GET parameter. Manipulating the parameter can create a URL on targetsite.com that redirects the browser to malwareinstall.com. When the user sees the link, they will see targetsite.com/blahblahblahwhich the user thinks is trusted and is safe to click. Little do they know that this will actually transfer them onto a malware drop (or any other malicious) page. Alternatively, the attacker might redirect the browser to targetsite.com/deleteprofile?confirm=1. I hope that I have managed to tickle your brain a little bit with this post and to introduce a healthy dose of paranoia and web security vulnerability awareness. The core takeaway here is that age-old software practices exist for a reason and what applied back in the day for buffer overflows, still apply for pickled strings in Python today. Security helps you write correct(er) programs, which all programmers should aspire to. Please use this knowledge responsibly, and don’t test pages without permission! For more information and more specific attacks, have a look at: https://www.owasp.org/index.php/Category:Attack. WebRTC technology is rather new (spearheaded by Google in 2012 through the World Wide Web Consortium). It is a free project that provides browsers with Real-Time Communications. The technology is now widely used in live help customer support solutions, webinar platforms, chat rooms for dating, etc. But there are too little solutions for enhanced safety. It’s weird. Since this technology offers great opportunities in this field. In the case of WebRTC technology to create a communication channel between subscribers is used Peer to Peer method. At the same time, there is no data transfer to any server. It is a great advantage. This ensures the confidentiality of transmitted information. The majority of modern communication services works through central server. It means that all history is stored on the server and third parties can get access to them. Using WebRTC technology security provider Privatoria.net developed a solution for confidential communication online in 2013. The main difference is the absence of data transfer to the server. Only the subscribers’ web browsers are used. Chat service provides users with an opportunity to exchange messages by establishing a direct connection between their browsers and uses Peer to Peer method to communicate online. To create a communication channel between subscribers it is enough to get a one-time key, and pass it to the called subscriber by any means of communication available. When the communication session is over, the history is deleted and the browser is closed, all correspondence between the subscribers disappears from the system. In such case, no one can gain access to the content of communications. As WebRTC supports not all browsers, Secure Chat solution works only in Google Chrome, Opera and Mozilla. At now developers are working on beta application for Android which will be available in Google Play Market in the nearest month. Therefore, it is good chance for all us today to communicate securely online. The internet has contributed a great deal to commerce around the world in the last decade, and of course with a whole new generation of people breaking into the online world we’re starting to see just what computers are capable of accomplishing. Particularly when there is malicious intent on the other side of that keyboard. Hackers and crackers are one of the biggest threats the world has ever experienced; they can take your money, your products or even destroy your business from the inside out – and you’ll never see them do it, they might not leave a trace at all. That is the terrifying truth about the internet; in most cases those with the skills to take what they want have the skills to hide themselves from detection – so what can you do to stop them. The easiest way of protecting your website is to ensure that your business have a securely developed website. Secure web development is a complex area, and most likely something that you will need the help of a professional in order to fully implement, but it is worth noting that there are three different levels of security to take into consideration for your website and thus three different levels that need to be securely developed in order to ensure the protection of your business. Consider these levels almost like doors. If your website was a business property you would have three ways in to the top secret bits; a front door, a side door and a back door. The front door is the user interface; the bit of the website that you yourself work with. Now; the web developer might have made you a big magnificent door, lovely and secure – the sort of user interface that lets you manage your stock, orders, customers and all of the individual aspects of your business effortlessly without giving anything up. However; if your passwords aren’t secure it’s the equivalent of putting a rubbish, rusty old lock on that lovely secure door – completely pointless and insecure. Easy access. This is the first place a hacker is going to look – why would they waste their time hunting down and trying to exploit tiny weaknesses in the back door if they could open the front door with one little shove? Change your passwords regularly, select passwords that use upper case, lower case, numbers and punctuation. Do not use the same password for everything. The side door is the programming. The code used to construct your website puts everything in place and says who can do what and when; everything is controlled with the code, so an opening here can cause big problems if a hacker finds it. There are a number of different potential security risks when it comes to the code; there are bugs, which are just general, little faults with the website that occur when something didn’t go quite as planned or something was missed in the development stage. They always happen and there isn’t a single piece of software that doesn’t have bugs, the secure ones are just those that resolve the bugs as soon as they’re found, which stops them from being exploited. Another risk to that side door is an injection; sort of like a fake key. This is something some of the smarter hackers can accomplish by injecting their own instructions into your system when it sends off a command or query – they can intercept your command or query. For example; let’s say you perform a simple PHP query that will fetch the products from the database when your user selects a product category. Normally this sort of script would be accessed through the URL with a category id. Now; obviously this example suggests that the clever programmer has included a limit to prevent what is going to happen next – but this won’t protect him. Poor clever programmer is about to be outsmarted. Yep – bet you’re horrified now, because this will typically reveal the DBMS version of the query, and sometimes expose your table and column names. Not dangerous enough for you? With the tables and columns are revealed the hacker can move on to attacking the user table, all thanks to exploiting a weakness in the products table. Creating a new query inside the existing one means that they don’t need to verify the database connection; they’re using yours. They have access to your database not and their using it to find your user table, which can progress to finding how many users you have, and even finding the information within the user table. I’m quite sure I don’t need to specify why having access to your user database is such a bad thing. So – if you want to avoid the injections you need to ensure that every bit of input data gets validated, reduce the amount of information shown when an error displays, really limit the database permissions to prevent php queries from being able to pull any more information than they absolutely need to and use parameters in your queries. Finally – the back door. This is the server. You need to ensure that the server you use to host your information and website is secure. There have been a number of cases where highly secure websites were eventually hacked by first hacking a much lower security website that shared the host server. If you want to avoid this you can consider a dedicated server for your website, you should also consider keeping to companies hosting companies that offer support and security as part of the hosting package. Ask them what software their servers are running; this will give you an idea of how regularly they are updated – up to date servers are the most secure. Older software has had longer to be exploited and thus more of the weaknesses in these are already known to hackers. Kate Critchlow is a young and enthusiastic writer with a particular interest for technology, covering everything from secure development to the latest gadget releases. Not all businesses are aware of just how much of their data is potentially at risk within their own systems and even their website; there simply isn’t the education in place to identify the flaws in one’s system before it’s too late in most cases, which results in compromised data, stolen data, loss of trust from customers and potentially a loss of funds or profits for the business in question; usually because of issues that could have easily been avoided. First of all you need to secure the internal workings of your business; which means users and data storage. One of the biggest threats to your computer and data security systems is actually the people that you give access to those systems; the human element is less predictable so be sure to take the necessary precautions that will prevent or limit damages should an employee choose to act maliciously. Start by ensuring logins are required and are unique to each user, this allows you to control exactly what each person has access to, and means that it is easier to trace who is responsible if damage is caused. You should also be very careful about providing permissions to these users; consider what they absolutely must have access to, and why, and consider whether or not they really need access to everything they can access. Limitations are the first step towards protection. Once you have this much protected you can start to think about how to avoid unauthorised access; password protecting everything is a good start, and encrypting sensitive information can be a fantastic way to avoid giving away data that is particularly valuable to your company. These are generally very easy systems to implement, and most security organisations you may choose to work with will help you to set up systems for encryption, data recovery, remote destruction (allowing you to delete data on a stolen device), as well as other aspects of data protections that can be very important to your business. These are important if your business handles a great deal of sensitive information, and of course if that is the case and security is of particularly importance you will want to get a security firm to help you protect it, however in a lot of cases your own IT department can set up the encryption, passwords, firewalls and defences needed to protect basic levels of data against reasonably tough attacks. Of course your online systems can require something a little different in order to keep them safe, and this is true of your website as well as any online content management, project management or other systems you might be using in the day to day running of your business. Again it is important that everything is password protected to keep things safe and secure as far as your users and their access levels are concerned, but you should also ensure that the development of the websites and tools are done with a certain level of security in mind. There are some rules to this, but in general it isn’t too difficult if you can already develop a website. No WordPress. If you want a secure website to handle lots of valuable data then WordPress isn’t for you, no matter how easy you think it makes your life. The problem with WordPress is that literally anyone can get it, and they all get the same version. Within a short time the vulnerabilities of that version will have been discovered and likely shared among hackers and other such people, meaning that you can either update or remain vulnerable – your only hope is that WordPress and you update often enough to stay one step ahead of the hackers. This is an issue that exists with a variety of similar platforms and would be difficult to keep yourself secure using these platforms – the best option is to use a secure platform and your own web development team or company. The variations in the programming that come from using your own team help to create diversity online, which means that it is much harder for hackers and malicious users to find the ways into your system; thus keeping you protected for longer. Of course even with your own website you are likely to be working with systems like Magento for database integration and content management, which will need to be updated every so often but are considerably more secure than systems like WordPress, and you will have to keep certificates up to date, particularly your SSL certificates. Kate Critchlow is a freelance writer with a passionate interest for technology covering everything from web development to IT security services.